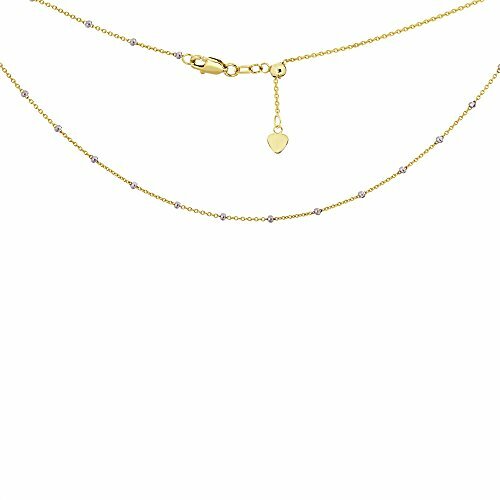 This 14k two-tone gold choker necklace has a saturn style chain design with white gold beads and is adjustable. Perfect for layering, too! This collection of 14k gold chokers have been creatively designed with an adjustable lock that will satisfy every unique style and is available in an array of beautiful designs!